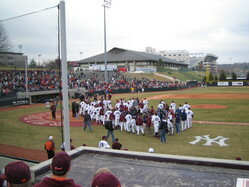 First pitch at Yankees vs. Hokies game. 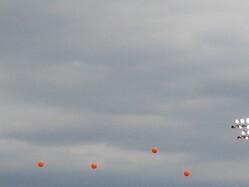 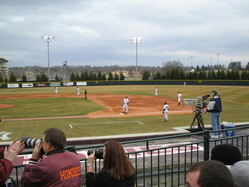 View of English field during Yankees vs. Hokies game. 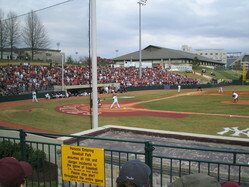 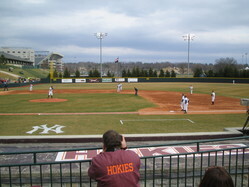 View of English field during Yankees vs. Hokies baseball game. 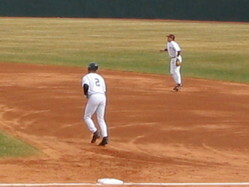 Yankee Derek Jeter running bases. 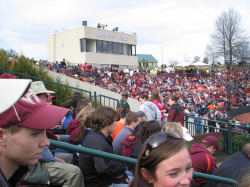 View of the crowd at the Yankees vs. Hokies game. 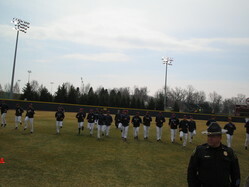 Players come in from the field after the game. 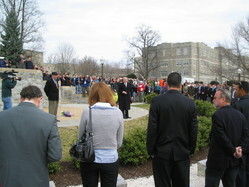 The Yankees listen to President Steger while visiting the memorial on the drillfield. 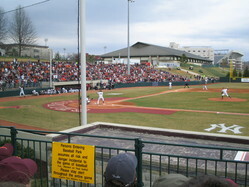 Yankees warming up before game at English field. 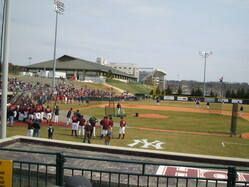 Yankees warm up with the Hokie Bird. 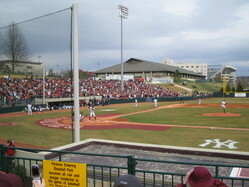 Yankees batting practice on English field. 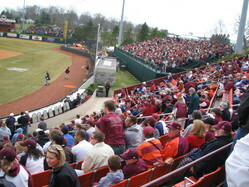 View of fans waiting for Yankees vs. Hokies game to start. 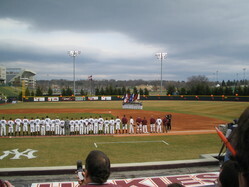 Opening ceremony at Yankees vs. Hokies baseball game. 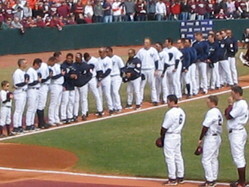 Opening ceremony at Yankees vs. Hokies game.